Bookstores hold a certain place in the hearts of book lovers, with their rows of shelves, cozy corners and eccentric proprietors. 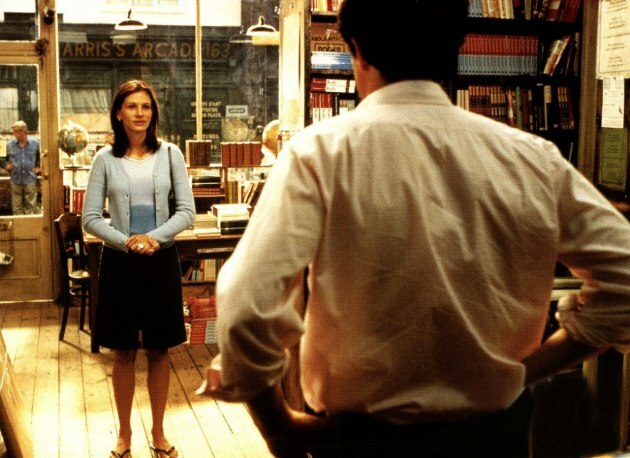 Although the independent bookstore is something of an endangered species, a few have been immortalized on the big screen so we might visit them again and again. You’ve Got Mail: Bookstores have been threatened for many years, as is the subject of this 1990s classic with Meg Ryan and Tom Hanks. Funny Face: This bookstore was the setting of a photoshoot featuring cute and quirky Audrey Hepburn alongside Fred Astaire. Notting Hill: A bookstore dedicated to travel books, this one was actually a real shop in Notting Hill, London. In the movie, it is owned by Hugh Grant and offers unexpected shelter from paparazzi to Julia Roberts’ actress character. 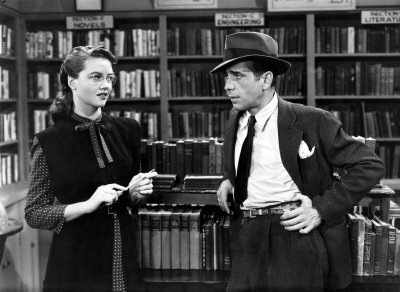 The Big Sleep: A movie that is at least as confusing as the classic book it is based on, this bookstore clerk was a smart, sassy foil to Humphrey Bogart’s dry detective. 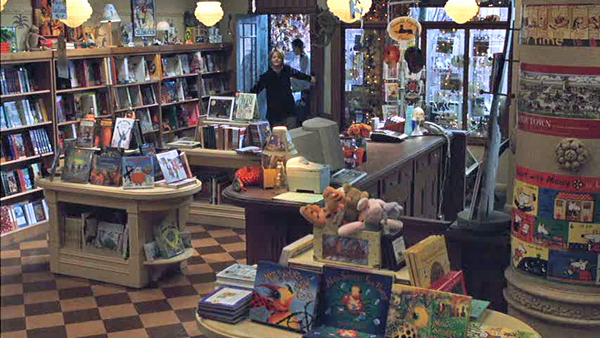 What’s your favorite movie bookstore?